It looks like with Insomniac Games’ Marvel’s Spider-Man PS4 game swinging into action this September, and the prolific show of force the game had at E3 2018, it looks like the new take on the Webhead has greater influence and reach than one expected. Marvel Comics is slated to give the game version of Spider-Man in his in-continuity debut in Spidergeddon #0! 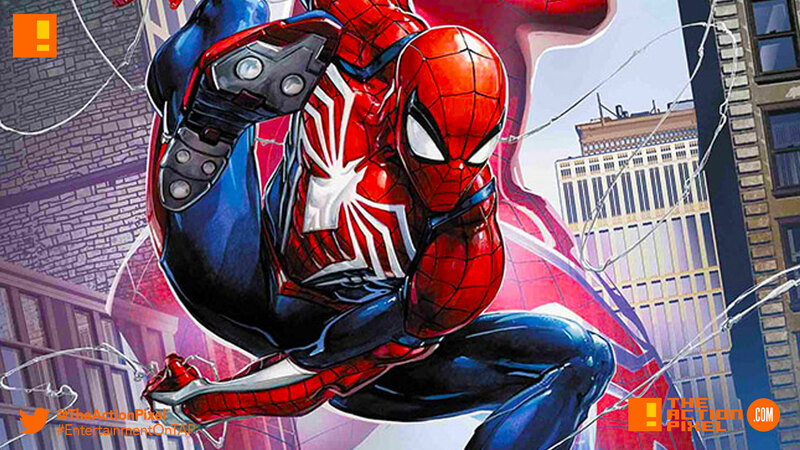 To celebrate the launch of the video game as well will see the game’s version of the wall-crawler being showcased in a set of five variant covers. The Marvel’s Spider-Man Video Game Variant cover program is illustrated by Insomniac Games artists Dennis Chan, Daryl Mandryk, Eve Ventrue and Sing Ji, and Marvel Games’ own Art Director Tim Tsang, and all five covers pay homage to classic Amazing Spider-Man comic covers!